We hope your visit to our web site was informative and helpful. If you have any questions about your project, our services, or if you would like an estimate, please feel free to call our office at (480) 418-1635. Our Office Hours are 7:00 am to 4:00 pm Monday thru Friday. As of March of 2018, we now have an after-hours service that will take down your name, number and information so that we can call you back the following day at a time you specify. Just call the number above and they will be happy to assist you. You may also fill in the fields below with your contact information, the square footage of your project (if known) and the type of flooring you would like to have removed (Please specify the type of current flooring – Ceramic, Travertine, Marble, Stone, Carpet, Wood, etc.). We will answer email inquiries within 24 hours during the week and on the following Monday if you contact us on the weekend. 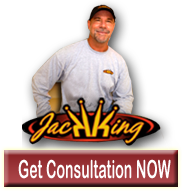 We look forward to speaking with you and helping you with your flooring project!! Please also visit our Business Model page to provide a deeper glimpse into how we have focused our efforts on dust free tile removal. We do not reply to solicitations for SEO services or products of any type! Check out the video above to see our Dust Free System in Action!